What is Search.smacklek.com? And how does it function? Search.smacklek.com is a browser extension that supposedly works as a search engine. It features a simple user interface but despite its plain appearance, Search.smacklek.com is not your typical search engine as it is actually categorized as a browser hijacker and a potentially unwanted program (PUP) by security experts since it hijacks a browser’s setting upon installation without so much as a notice to users. Thus, if you install this questionable search engine, it will quickly modify the default settings in your browser like the default search provider, homepage, as well as new tab page. After its installation, you will see changes in your browsing. One of these changes is the increase in the number of ads that you encounter as you browse the internet. Some of these ads can even redirect you to suspicious web pages that might potentially harm your computer. Aside from that, browser hijackers like this one also tracks all your browsing activities so that it can obtain information like your browser type, browsing history, IP address, search queries, websites you often visit, and many more. The harvested information is then used to generate more customized ads and personalized ones to lure you into clicking ads which actually profits the developers of Search.smacklek.com. In addition, the information obtained might also be shared with third parties, which is a clear sign that this dubious search engine is a threat to your computer and privacy. How is Search.smacklek.com distributed over the web? Like other browser hijackers, Search.smacklek.com is distributed using software bundles or free software packages that can be found on free sharing sites. 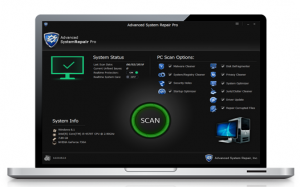 It is added as one of the optional components in software bundles together with other browser hijackers and unwanted programs. Delete Search.smacklek.com from your browser and system with the help of the removal guide given below. Step 1: The first thing you have to do is flush the DNS. 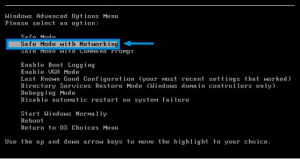 Just, right click on the Start button and click on Command Prompt (administrator). From there, type the “ipconfig /flushdns” command and hit Enter to flush the DNS. Step 2: After that, restart your computer and then open all the browsers infected by Search.smacklek.com. Reset all the affected browsers to default to their default state. Step 3: Next, tap the Win + R keys to open the Run dialog box and type “appwiz.cpl” in the field and press Enter to open the Programs and Features in Control Panel. Step 4: From the list of programs installed, look for Search.smacklek.com or any unfamiliar program that could be related to it under the list of installed programs and once you’ve found it, uninstall it. Delete all the entries that contain Search.smacklek.com. Step 6: Hold down Windows + E keys simultaneously to open File Explorer. Step 7: Navigate to the following directories and look for suspicious files associated to the browser hijacker such as the software bundle it came with and delete it/them. Step 9: Empty the contents of Recycle Bin. Refer to the advanced instructions given below to ensure the removal of Search.smacklek.com as well as all the file residues it left behind.